Bottom wire 16g. Galvanized after welding. Metal tray. Trays are slide out. 4" high urine guards on sides and back. All Premium Cages have babysaver wire on the front. Use cage kit for cheaper shipping. Bottom wire 14g. Aluminum coated. Door is on 30" side. Plastic Tray Only. Trays are slide out. 4" high urine guards on sides and back.Bottom wire is 1/2"x1" 14 g. galv. after welding. 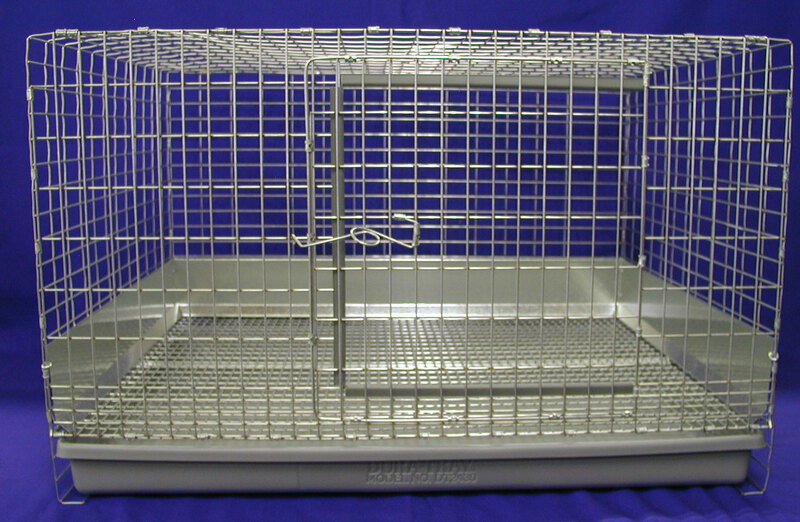 This size cage only ships in Kit (knock down) form. THIS CAGE CANNOT BE SHIPPED BUILT. ORDER CAGE KIT FOR SHIPPING. (THIS CAGE CAN NOT BE SHIPPED BUILT. ORDER IN KIT FORM FOR SHIPPING) Bottom wire 14g. galv. after welding. Plastic tray only. Trays are slide out. 4" high urine guards on sides and back. All Premium Cages have babysaver wire on the front.